In 2015, the Ministry of Defence had objected to parallel talks held by the Prime Minister’s Office with France, The Hindu reported. 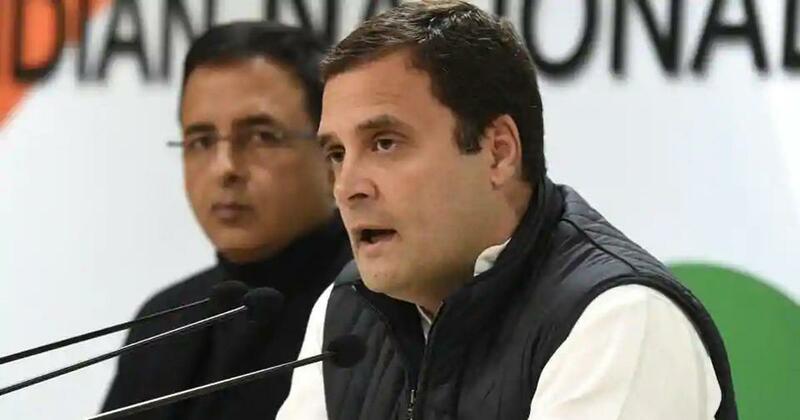 Congress President Rahul Gandhi on Friday said it was now “black and white” that Prime Minister Narendra Modi had carried out parallel negotiations with France on the Rafale fighter jet deal. His remark was based on a report in The Hindu earlier in the day. According to the report, the Ministry of Defence had, in 2015, objected to “parallel negotiations” conducted by the Prime Minister’s Office with France when the two countries were discussing the deal. Both Modi and Defence Minister Nirmala Sitharaman lied to the country, he claimed. Congress President @RahulGandhi had a simple question for you in Parliament Modiji, you chickened out and didn’t answer, did the defence ministry oppose your Rafale deal? The Congress president claimed that this new revelation brings into question the Supreme Court judgement dismissing the petitions seeking investigation into the deal. According to the government’s submission to the court in October, a seven-member team headed by Air Marshal SBP Sinha, the deputy chief of Air staff, had conducted the negotiations. There was no mention of the role of the Prime Minister’s Office in the negotiations. Asked about his meeting with Goa Chief Minister Manohar Parrikar last week, Gandhi reiterated that it was a courtesy visit to inquire about his health and the two did not discuss the Rafale matter, ANI reported. The meeting had set off a political storm after Gandhi claimed that Parrikar had told him that he had nothing to do with the Rafale agreement. The Goa chief minister then accused the Congress president of using the personal visit for political gains. In response, Gandhi claimed that in his speeches since their meeting he had referred to information already available in the public domain. 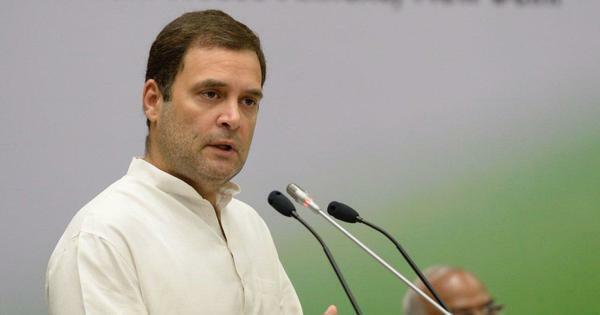 On Thursday, Rahul Gandhi had challenged the prime minister to a debate on the Rafale deal and called him a coward for not accepting the offer. In response, Narendra Modi accused the Opposition party of attempting to scuttle the deal and neglecting the needs of the armed forces.